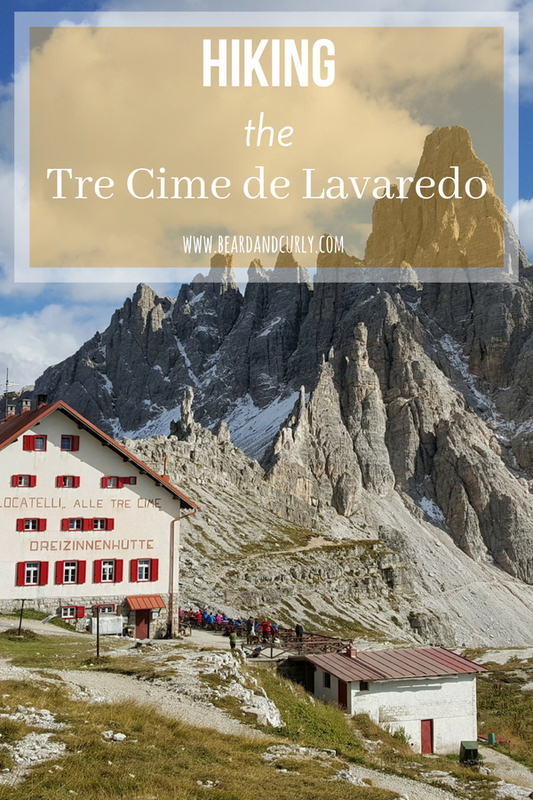 Tre Cime de Lavaredo is one of the most famous landmarks of the Dolomites. This popular tourist attraction has several exceptional hikes in the area. 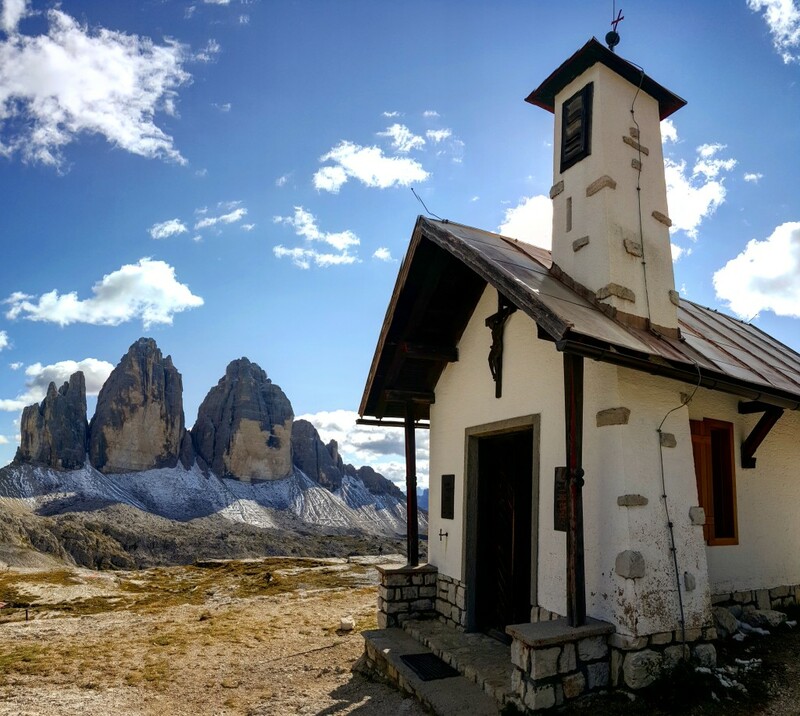 The most popular trail is an easy loop around Tre Cime. 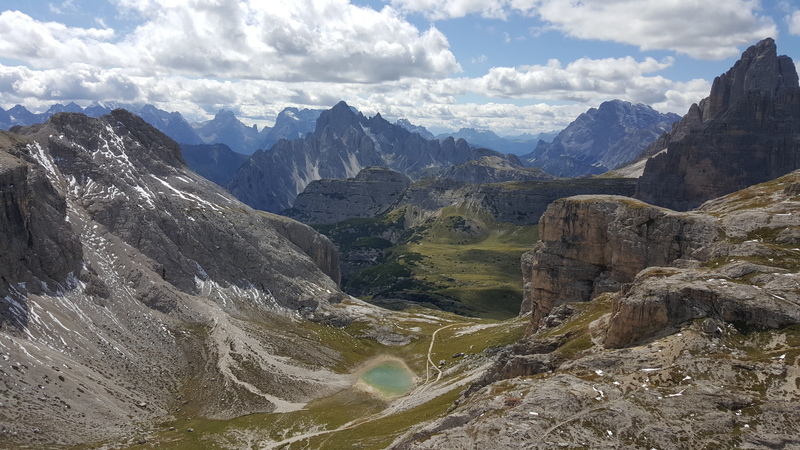 For those looking for a detour, there is an excellent hike that makes a larger loop with alpine lakes, stunning valleys, WWII bunkers, and of course, the Tre Cime peaks. 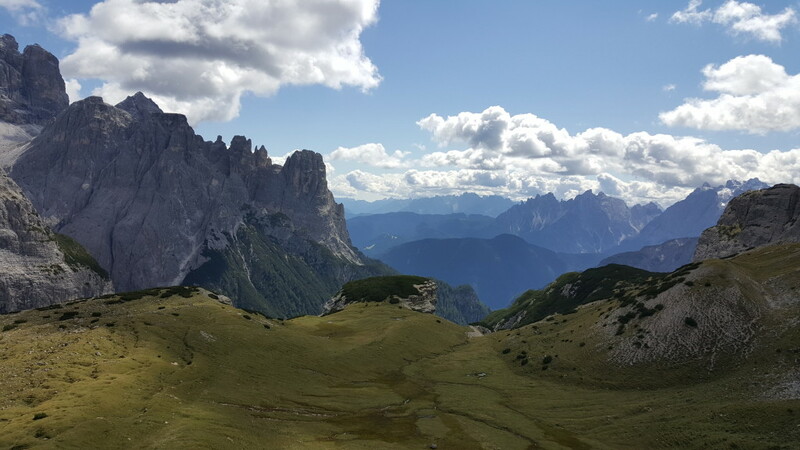 There is no entry fee for the park or for hiking, however, there is a parking fee of 20 Euro per vehicle to park at Rifugio Lavaredo. 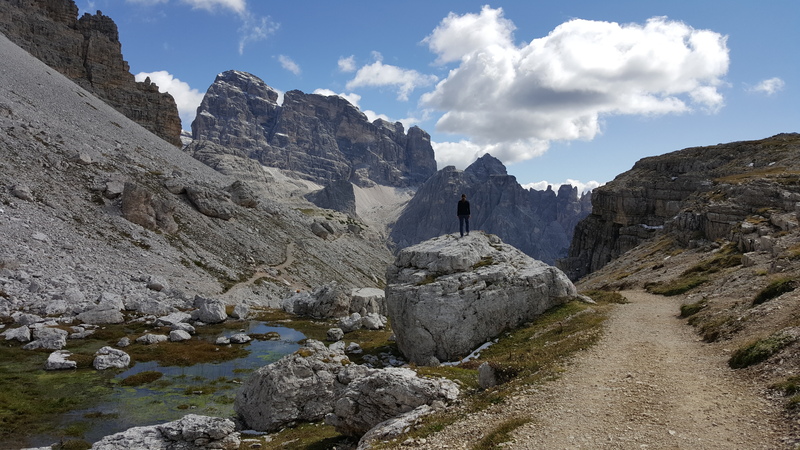 Other access points for not have a parking fee, however, this is the most accessible place for Tre Cime. 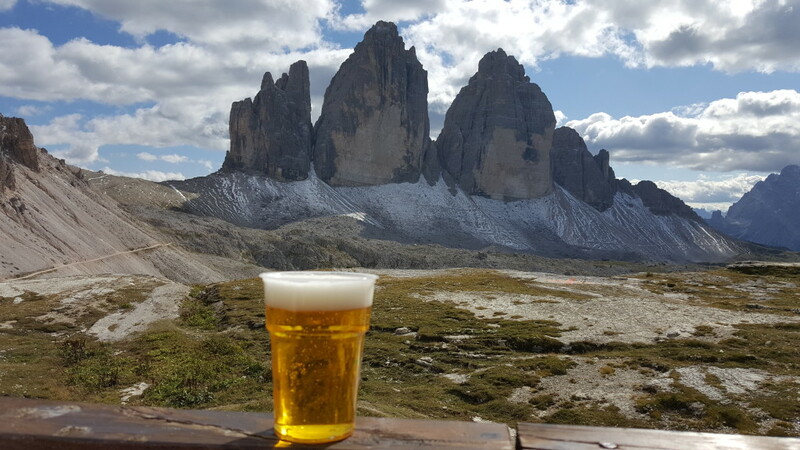 Take the bus or drive to Rifugio Lavaredo. The rifugio is located past a toll booth on the mountain road after Lake Misurina. This is the start of trail 101. At the trailhead, there is a comprehensive map of the various routes in the area. 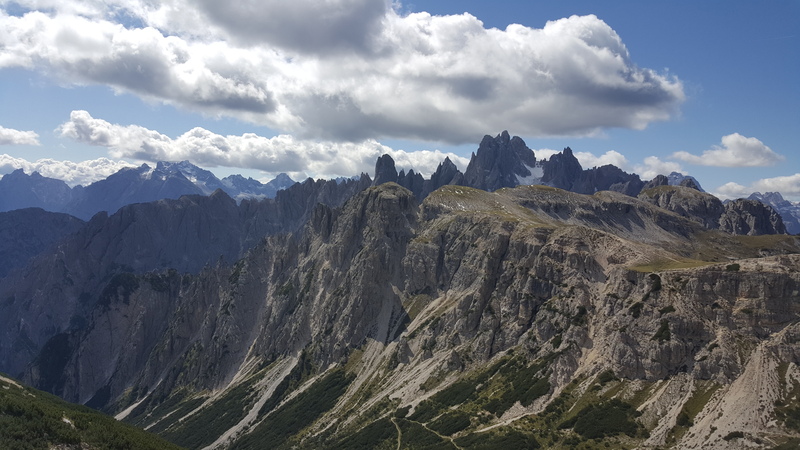 Take trail 101 on the loop around Tre Cime, an option for a shorter and easier hike. For a better alternative, head to trail 101 and then continue on trail 104 to Pian di Cengia. The beginning of the hike is flat with a beautiful valley to the right. At the end of the valley, there is a steep ascent of switchbacks to the first peak. After the ascent, trail 104 and 107 merge. 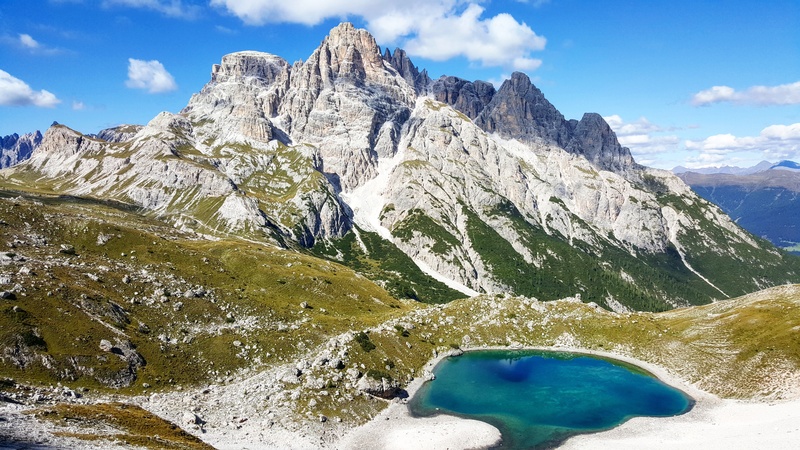 Take trail 107 and continue through another valley and a small lake, Lago di Cengia. Afterward, there is another steep ascent with switchbacks to the top of the ridgeline. At the top, the trail to the left will return to trail 104. Before heading left, first explore some of the excellent WWII caves and bunkers on the right. Afterward, take trail 104 towards Rifugio Locatelli. This section of the hike is flat or downhill. It will pass a beautiful alpine lake with stunning peaks behind it. After the lake, there are several smaller lakes. This is the final stretch to Rifugio Locatelli. 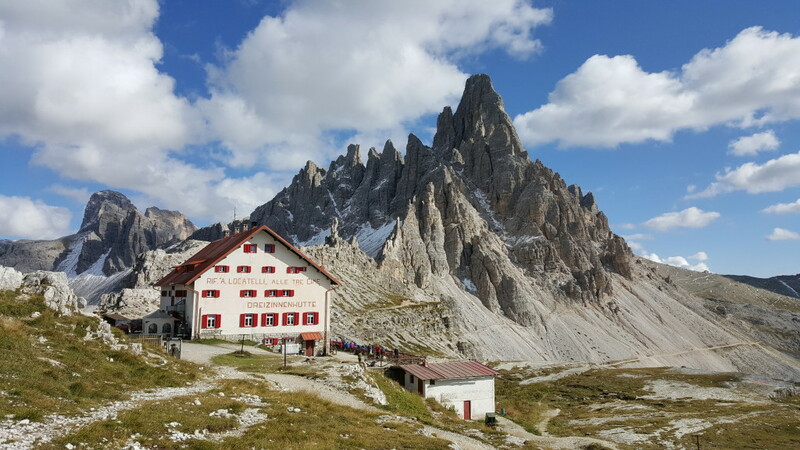 Once around the back of a mountain bend, the rifugio comes into view, as well as Tre Cime de Lavaredo. This is a perfect spot for a break to enjoy a beer on the patio with these stunning views. Once ready to complete the hike, head towards the small church behind Rifugio Locatelli. Next to the church is the start of trail 105. This trail leads into the valley underneath Tre Cime and wraps around the side of the mountain. It passes another small rifugio and not much further is the end of the hike.